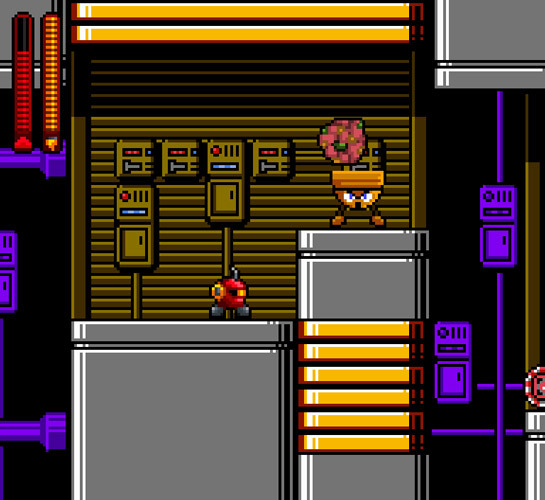 "A SNES style game that focuses on fun"
Hyper HD is not original any particular ways, the game play is a standard side scrolling 2D affair, however this is no bad thing, the game play is actually great and who needs high def graphics when you're having fun? 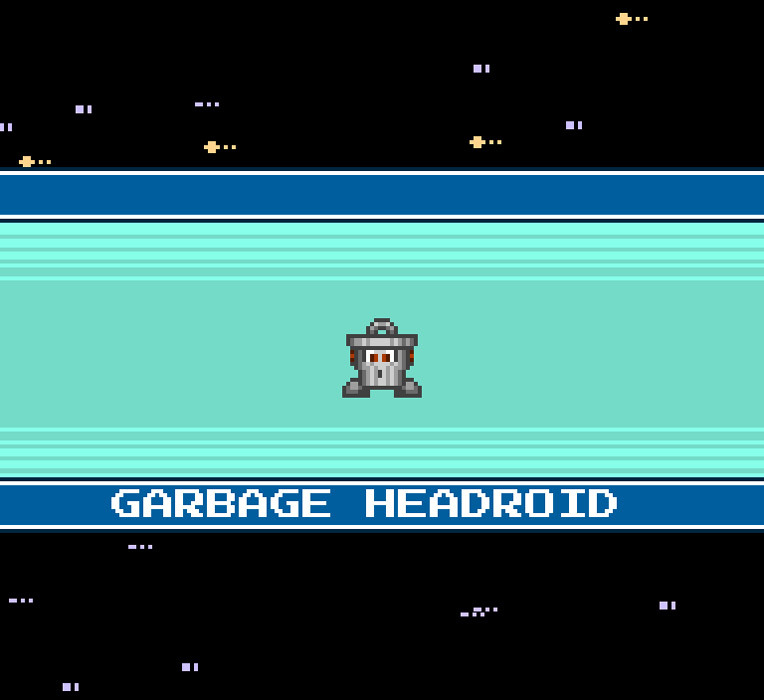 You play as a generic little trash can (well actually I think his name Garbage Headroid or something along those lines, fitting with future world the game is set in and the fact it often like you are trying to make your way through a large garbage compactor) with the ability to jump, boost and of course shoot things, however the levels that are available in this demo are very challenging, featuring many mechanical objects which can fire bullets back at you plus all sorts of other obstacles such as large falling blocks that you will either need to maneuver around them or you could of course just try blasting your way through them! 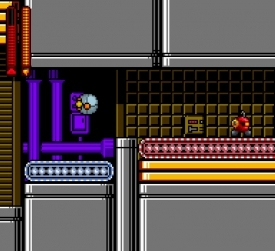 While not being particularly original those of you old enough to remember SNES style games will get a large dose of nostalgia and certainly you are unlikely to be disappointed with the enjoyable game play, not to say that the game won't have its rage inducing moments, sometimes it can be incredibly difficult but this also means you get plenty of demo to play here. 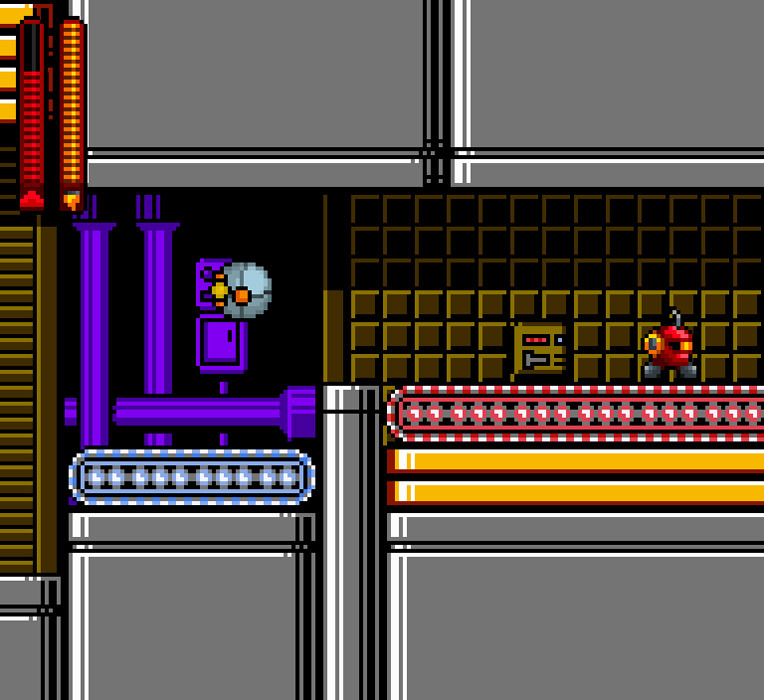 You can download the Hyper HD demo here for free.